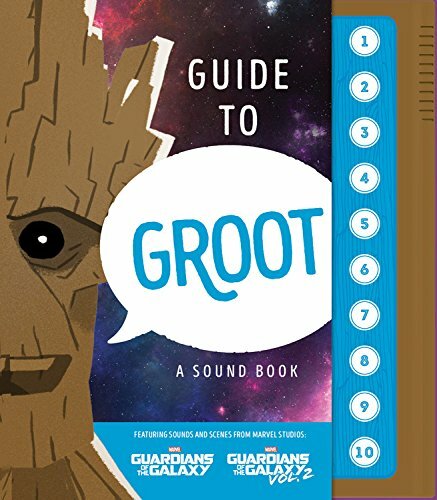 Out now is my newest book, Guide To Groot: A Sound Book. 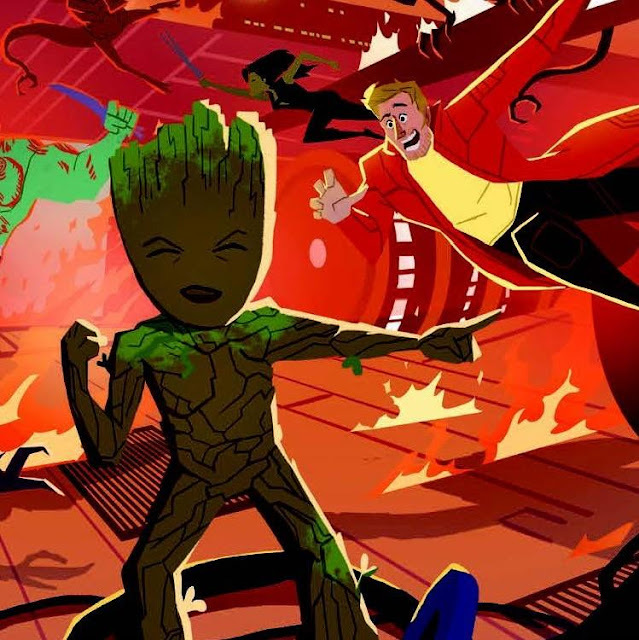 With ten different sound recordings of Groot's famous "I am Groot" line, our book attempts the impossible: translating the words of everyone's favorite walking shrubbery. The book features fully illustrated pages by artist Nicolas Rix. It's great lively work that captures the Guardians of the Galaxy we know and love from the Marvel Studios films. I gotta get this outta the way right off the top. I didn’t want to write this book. I got better things to do like-I don’t know-save the galaxy for the sixteenth time? But that’s not the point. The point is, Groot’s my buddy. We’ve been close even before we signed on to be Guardians of the Galaxy. He might look like a walking topiary, but the guy’s tough as they come. Problem is, not a day goes by where some schmuck doesn’t ask me to translate for him. Yeah, I get it. Everything he says comes out all 'I am Groot'. But ya’ gotta listen-really listen. When you do that, you realize he’s saying way more than you originally thought. Too much, even. So that brings me to this masterpiece, a handy guide to some of Groot’s most common phrases and sayings. 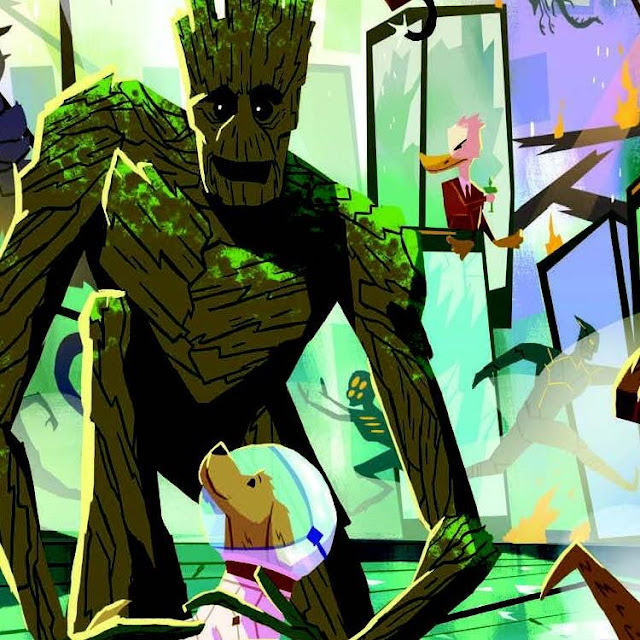 You study this book, you’ll be understanding Groot-speak in no time.